A weekend which promised much, on the Mondello Park circuit which is well suited to the wieldy TVR, ended with bitter disappointment for Eclipse Motorsport. 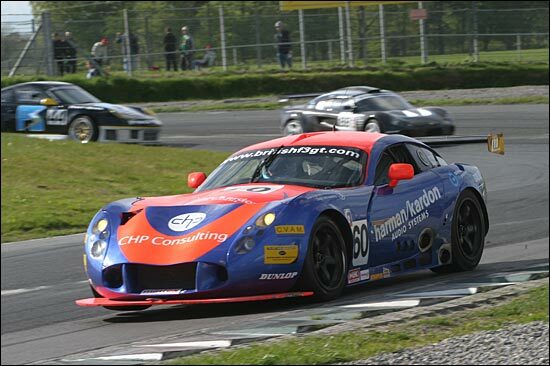 Saturday’s race had started well, with Steve Hyde starting from ninth on the grid, and dicing hard (in the newly reliveried #60 TVR T400R) with the brand new TVR of Lawrence Tomlinson. After crawling all over the rear of the #40 car into, through and on the exit of almost every corner, the Eclipse driver came out on top. It looked set fair for a good points result as the TVR started to close down the Xero Corvette ahead but, as the pit window approached, Steve tangled with a Cup class Ferrari at the exit of the tricky and fast ‘Bike World’ bend. Both cars spun and hit the unforgiving earth bank: the drivers were unhurt, but the Ferrari suffered heavy damage to front and rear, with the Eclipse car emerging with splintered bodywork and damage to the left rear suspension. Race over. The Eclipse crew set to work immediately to assess and repair the damage, determined to get the car back on track for Sunday’s Round 4 race. As Sunday morning dawned it seemed as if they had waved the magic wand. The bodywork was patched up, a replacement shock absorber had been sourced and fitted and the various bits and pieces associated with a top class GT racer’s rear left corner had been checked, repaired or replaced. Piers Johnson took the car out for a two lap check during the lunch break and returned to pronounce the car fit and well. Eclipse’s weekend looked to be on the up…. until the crew noticed an oil leak from the right hand rear corner. Further investigation showed a broken circlip and wheel bearing on the opposite side from the original impact point: the shock of the impact had evidently been transferred through the differential to the right hand corner. Without sufficient spares to effect a repair at the track, it would be impossible to race. 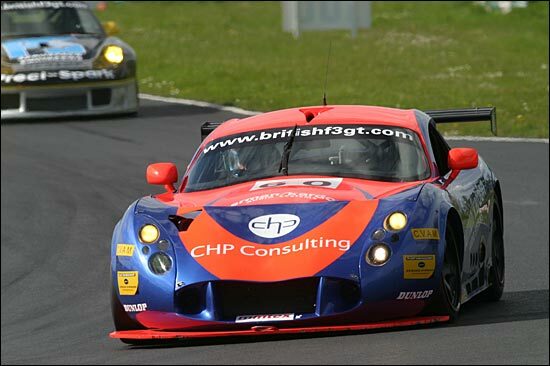 Despite the fact that the TVR’s straight six was fully on song all weekend it was “Nul Points” from the Irish jury for the 2004 Eclipse entry. 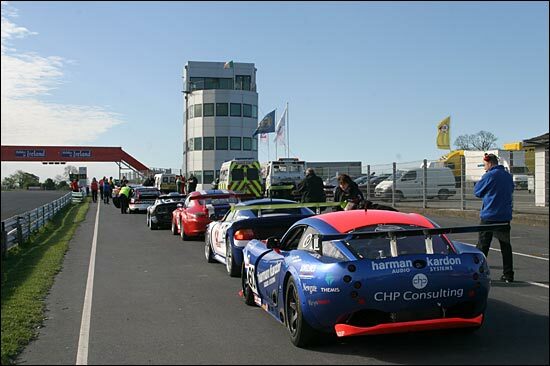 It was a long drive back to base, but there is plenty of time to get the TVR back into rude health for the next race weekend, at Snetterton on 5 / 6 June. Like the song says – Things can only get better.